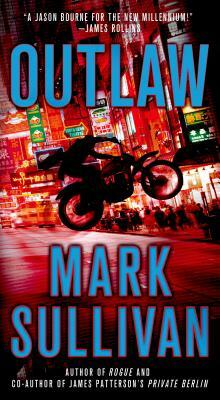 In Outlaw, the U.S. Secretary of State and the foreign ministers of China and India have been kidnapped. The "Sons of Prophecy" take responsibility and issue an ultimatum: If their demands are not met in seven days, the three will be beheaded live on the Internet. With the presidential election in only eight days, The President has few options-he can't meet their demands and he can't let them be executed. In desperation, he calls upon former CIA operative and master thief Robin Monarch. A former Reuters journalist, MARK SULLIVAN is the author of several internationally bestselling thrillers on his own as well as the coauthor with James Patterson of the bestsellers Private Games (February 2012) and the forthcoming Private Berlin. He lives in Bozeman, Montana.